Md. Rafi’s song Lyrics and its Sargam or Swarlipi in English language and SRGM style. It is having 51 famous songs sung by singer Md. Rafi. It contains Hindi film songs, sad songs and happy songs, bhajan, gazal etc. Different moods of Md. Rafi are collected in this book. Anybody having basic sargam knowledge can play songs easily following the book notes. Songs based on different Taals like - Kaharwa, Daadra, Rupak, Jhaptaal are included in this book. Have the book and enjoy priceless heavenly happiness and joy. Grad. C.W.A. He got Railway service by passing competition. He has passion for music and passed ‘Prabhakar’ course in ‘Synthesizer’ and ‘Tabla’ subject from “Prayag Sangeet Samiti, Allahabad”. He continued learning music and raagas. He started teaching music to students and felt that there is a need of Sargam/Swarlipi of songs to play on harmonium or any other instrument. He started writing notes of the song and made freely available to audience through his blog namely ‘vinodnotations.blogspot.in’. These notations are liked by lakhs of people. 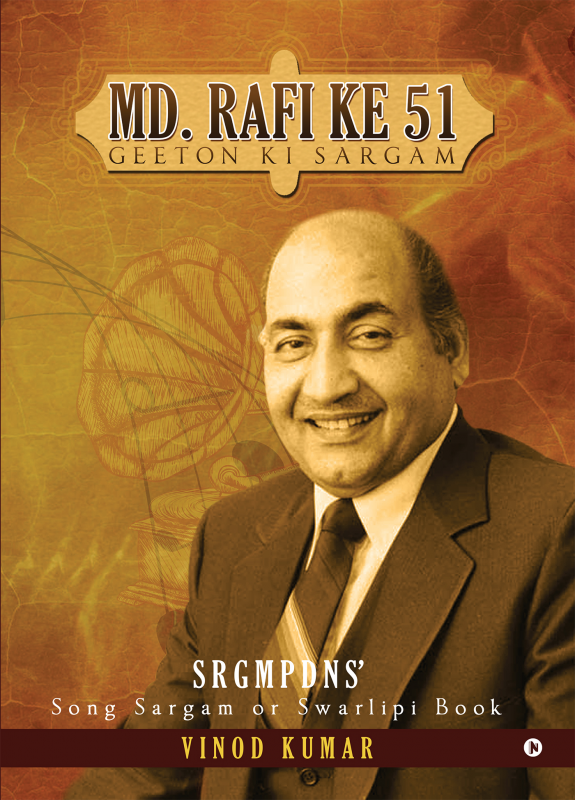 He wrote four books of “51 Geeton ki Sargam” of Singer Mukesh, Lata, Kishore and Rafi in Hindi which are available to purchase online. The book is now available in English SRGM. The western notation version of the book may come in near future. Any person having basic knowledge of music can play the songs on any instrument and can enjoy it. The book is written beat by beat. Taal is mentioned in every song. The book is very useful for music students and music lovers.